Are you a director? If so, check out our membership pricing for Soccer Organizations! 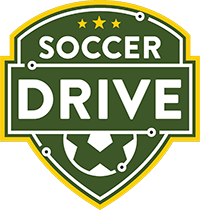 There are over 300 animated soccer drills on soccerdrive.com so our tools are designed to help you find drills that are appropriate for the age level and concept you are looking for. On our soccer drills page you will see the list of categories and age levels listed along the left hand side. Clicking these links will help you filter down into the types of drills you are looking for. Have a look at the video for a quick demonstration on how easy and effective it is to search our database of soccer drills. he ability to build practice plans is another valuable tool available to our members. Drills and Tactics are easily added to any practice plan. When viewing a drill or a tactic each practice plan that has been saved will be listed with an "add" button. The simple click of this button will add the drill or tactic to the corresponding practice plan. For a short demonstration please watch this video. Every member on soccerdrive.com has the ability to set up a team access account. When you set up this account you can give the username and password to members of your team like assistant coaches and players. When someone logs in to your team access account they will be able to view the practice plans, drills, and tactics that you hae shared with them. Sharing content with your team is easy. After you have set up a team access account you will see a "Share with Team" button when viewing content. Clicking this button will instantly share the content with your team access account so that any member of your team can view it. The purpose of this feature is to help you and your team be more prepared for upcoming practice sessions. The communication will be improved because players and coaches will be able to view the diagrams, animations, and practice plans before each session. If I cancel my subscription will I lose my saved practices, drills, systems, and lists? No, when you cancel your subscription your account is not deleted, just de-activated. Therefore, if you would like to re-activate your membership in the future you will be able to access your saved data. The key is to use the same email address. If you use the same email address then you will not lose any saved data. If you accidentally use a different email then just contact us and we will connect the account so your can access your old data.